Made It Through Mum: GIVEAWAY ALERT!!! 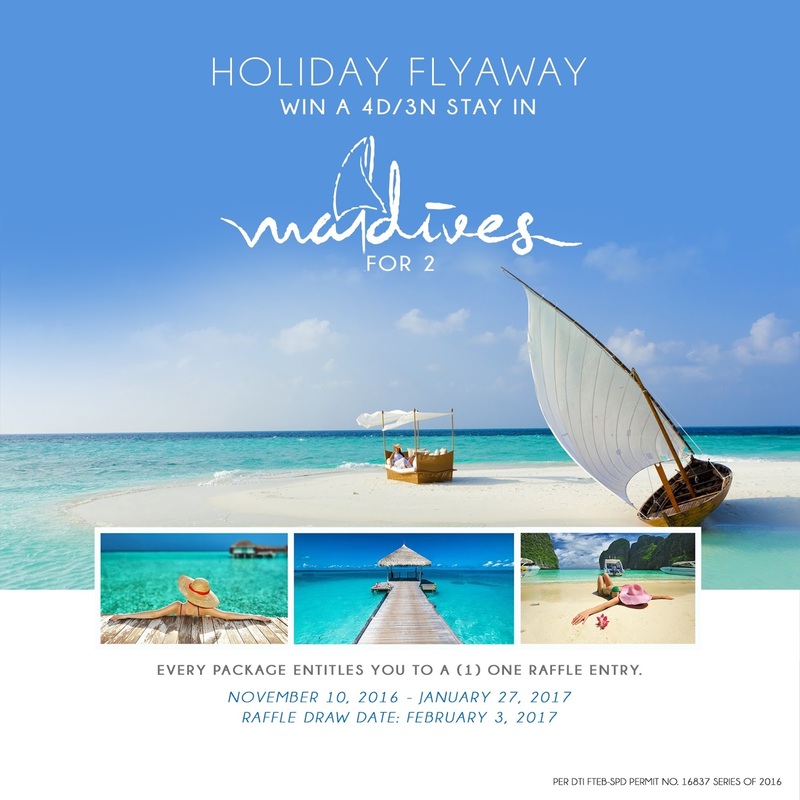 WIN A TRIP TO MALDIVES! Here’s Your Chance to Win A Trip for Two To Maldives. Walk into any Nailaholics branch and you are immediately ushered into a different world. The world quiets down, even for just a few hours, as you settle into the canopied seats. The gentle buzz behind its doors are reminiscent of the placid flurry typicaly found in beachside destinations. The colors evoke the calm of being beside the ocean. Now, stepping inside a Nailaholics branch doesn’t just welcome you into a world of pampering, you’re actually taking your first step towards the Maldives; a destination recognized as this year’s best spa destination by industry, known for its clear, cobalt waters, hugged by a stretches of fine, delicate sand. From November 10 to January 27, availing of any of the Nailaholics package services will entitile customers to one raffle entry for the chance to win a trip for two to the Maldives. Entitled Holiday Flyaway, the lucky winner will enjoy a four-day, three-night stay at the Maldives and indulge in the very elements that inspired the experience and aesthetic behind Nailaholics. Visit Nailaholics as often as you can during the promo period to get more chances of winning. There’s no better reason to keep heading back to your nearest branch for me-time.